Watch baseball and enjoy crunchy healthy snacks. The Spring Training season still have a couple weeks to go with great games ahead. If you've flown out to Arizona or Florida to catch your favorite teams, make sure to stock up on top snacks to power you through the day and during your travels. Here's are recommendations for a great baseball season. Almonds are crunch and great for heart and brain health. Fat Uncle Farms make delicious almonds that aren't pasteurized and they don't use fertilizers. Cajun flavoring makes them addictive. Another great nut grown in California is the pistachio. 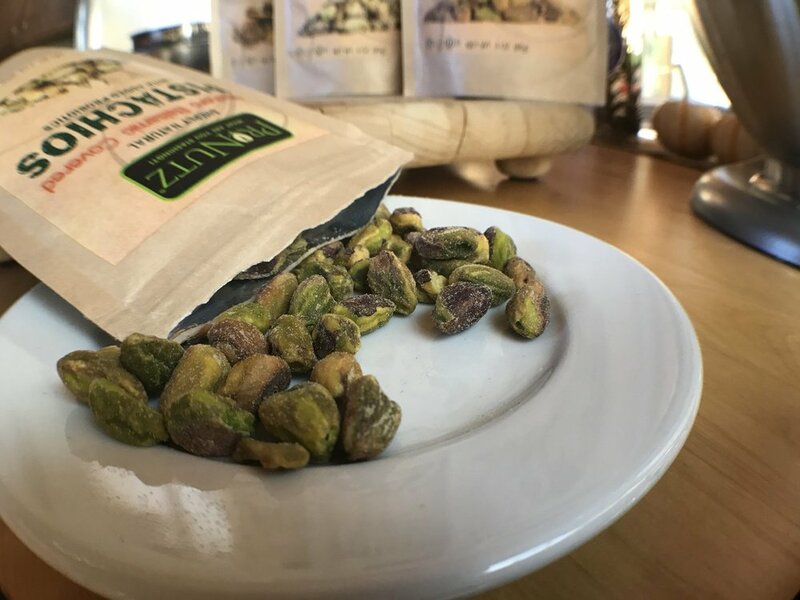 Pronutz makes flavored pistachios such as habanero, chocolate, and yogurt covered. They are also probiotic. They come from a family farm and are a delicious snack. Seawater Food & Beverage sources seawater from the mediterranean and uses it to make a variety of products from lemonade, tomato juice, and potato chips. The seawater provides natural salt flavoring and also provides a range of nutrients to you don't get from fresh water. The chips are soaked in seawater and then kettle cooked in olive oil to provide a delicious snack. Shop these great snacks and more on Treatmo App.